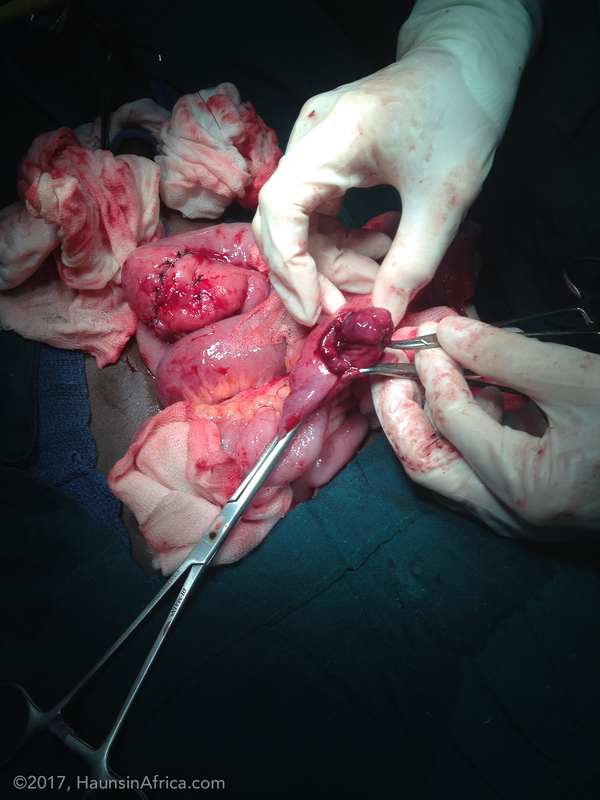 A 13 year old boy, who years before had a bowel resection for an intestinal obstruction, was admitted to our hospital several times with abdominal pain. The pain was intermittent but severe. After conservative treatment, he got better, but only for about a week. He then returned with pain, vomiting and inability to pass stool or gas. I decided to operate. I found an intussusception causing a bowel obstruction. A tumor attached to the inside wall of the small intestines caused the bowel to fold and twist upon itself. 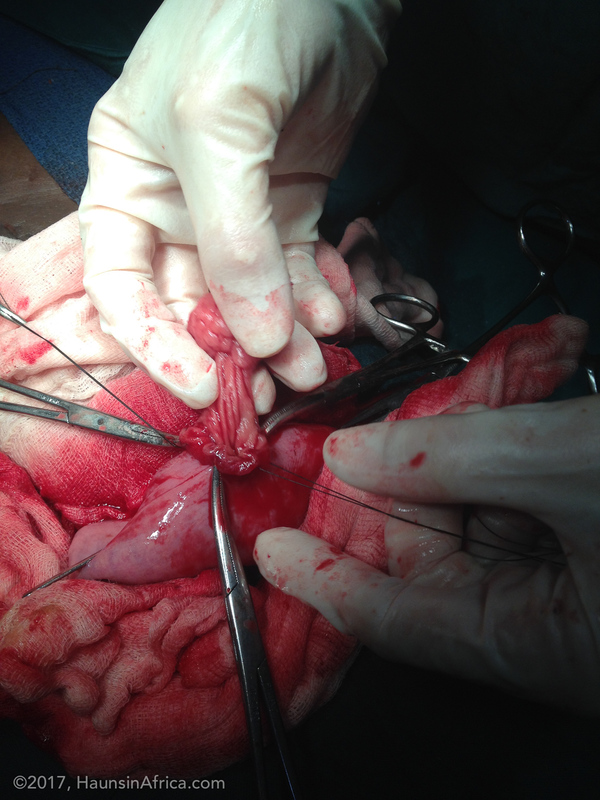 I was able to reduce the intussusception and remove the tumor. 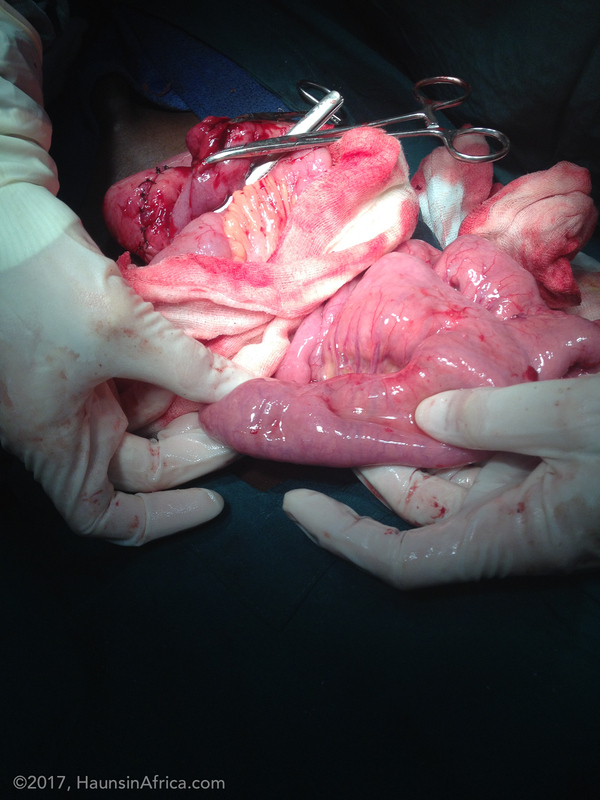 As I examined the remaining bowel, I realized that he had multiple other small tumors throughout the small intestines. I removed several of the larger tumors, but could not remove all of them. As I examined the bowel and resected the tumors, I remembered something peculiar that I had noticed on the patient even as he was lying on the operating table waiting for surgery. I had not yet made the connection. 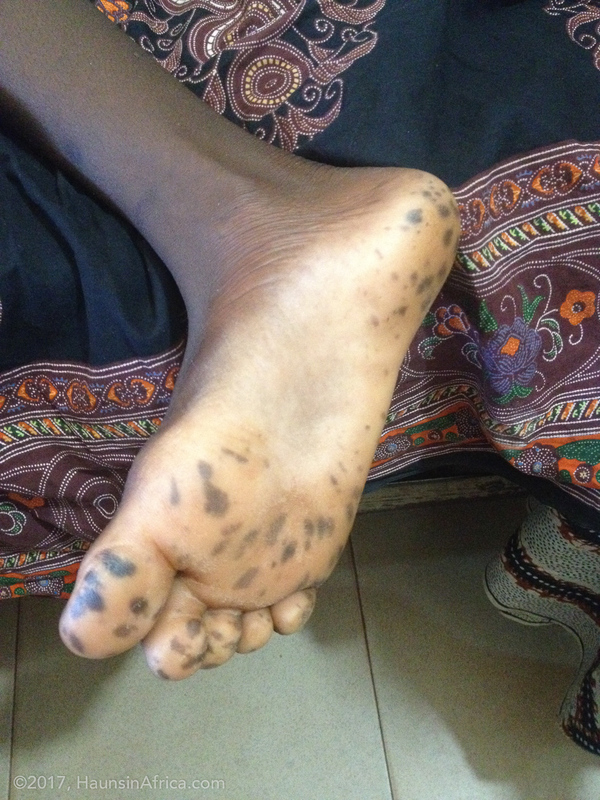 He has black spots on his lips, palms and soles of his feet. Together, these findings constitute a syndrome, Peutz Jehger Syndrome. The good news is that this means the tumors are benign, but have potential to become cancer. I explained to the family that he would have to be examined on a regular basis, including colonoscopy to rule out the presence of any cancers. He is a sweet kid who lives close by, and always has a smile for me whenever we meet.